A new study has provided yet more evidence that survivors of endometrial cancer should be closely monitored for cardiovascular disease. These women are at higher risk for various long-term cardiovascular problems compared with their cancer-free counterparts, especially phlebitis and thrombophlebitis, pulmonary heart disease, hypotension, and atrial fibrillation. Cardiovascular disease is the leading cause of death among the estimated 757,000 survivors of endometrial cancer in the United States. Against this backdrop, investigators used the Utah Population database to compare cardiovascular outcomes for 2648 survivors diagnosed with endometrial cancer between 1997 and 2012 and those of 10,503 age-matched, cancer-free counterparts. 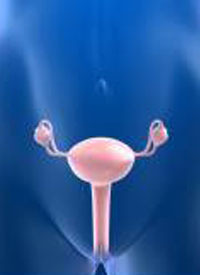 The majority of endometrial cancer cases (89.4%) were stage I or II. For their analysis, researchers using clinical classification software to adapt ICD-9 diagnosis codes into cardiovascular disease categories. Statistical models that were adjusted for race, BMI, and comorbidity (using the Charlson Comorbidity Index) computed hazard ratios (HRs) for the cardiovascular outcomes at 2 time points: 1 to 5 years after diagnosis and 5 to 10 years. Overall, the most common late effects seen in endometrial cancer survivors were hypertension, which occurred in approximately 47% of survivors 1 to 5 years after diagnosis and in 33% of the survivors, 5 to 10 years later. Diseases of the heart occurred in approximately 36% and 25% of survivors at the 2 respective time points; diseases of lymphatics in approximately 24% and 14%, respectively, and diseases of arteries, arterioles, and capillaries, in 19% and 14%. The comparative risk analysis showed that at the 1 to 5 year interval, phlebitis and thrombophlebitis posed the highest cardiovascular risk for endometrial cancer survivors (HR, 3.11; 99% CI, 1.83-5.28). Other high-risk outcomes observed were lymphatic diseases (HR, 1.89; CI, 1.64-2.19), hypotension (HR, 1.85%; 99% CI, 1.29-2.65), pulmonary heart disease (HR, 1.71; 99% CI, 1.24-2.36), and hypertension with complications (HR, 1.66; CI, 1.17-2.35). Notably, the elevated risk for this population held 5 to 10 years later for 18 of the 70 outcomes overall. “This study presents sufficient evidence to suggest that increased monitoring is necessary for women diagnosed with endometrial cancer in the first several years after diagnosis, and out 10 years as well,” Sean Patrick Soisson, MA, Division of Genetic Epidemiology/Division of Public Health, University of Utah, and study coauthors concluded. There are currently no globally accepted guidelines for follow-up cardiac monitoring in cancer survivors, despite the fact that cancer treatments can lead to various cardiovascular toxicities, such as left ventricular dysfunction and radiation-induced heart disease, according to researchers on a related study presented at the survivorship symposium.2 They reported on a 2-part cardiac assessment protocol, building on consensus statements from the American Society of Echocardiography and the European Association of Cardiovascular Imaging. In providing a rationale for their study, the research team from New York Presbyterian/Lawrence Hospital, Northwestern Medicine, and the Lurie Comprehensive Cancer Center, pointed to the “particularly concerning effect” posed by cancer therapy–related cardiac dysfunction now that survivors are living longer. Although researchers said more data are needed to assess how well the protocol measures long-term cardiac and survival outcomes, the first assessment tool they developed shows potential for deployment in the pretreatment setting by an oncologist when agents known for cardiotoxicity are part of the treatment plan. The second part would be used to stratify cardiac risk and develop an appropriate monitoring plan during survivorship. Soisson SP, Ganz PA, Rowe KG, et al. Cardiovascular late effects among endometrial cancer survivors in a cohort study. J Clin Oncol. 2017;(suppl 5S; abstr 131). Veneruso A, Slocum MR, Kircher SM, et al. Developing a cardiac monitoring plan in at-risk cancer survivors. J Clin Oncol. 2017;(suppl 5S; abstr 133).